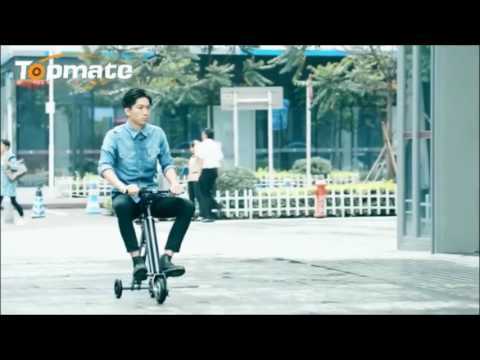 The TopMate Mini Electric is a smooth, full-featured and stable tricycle. 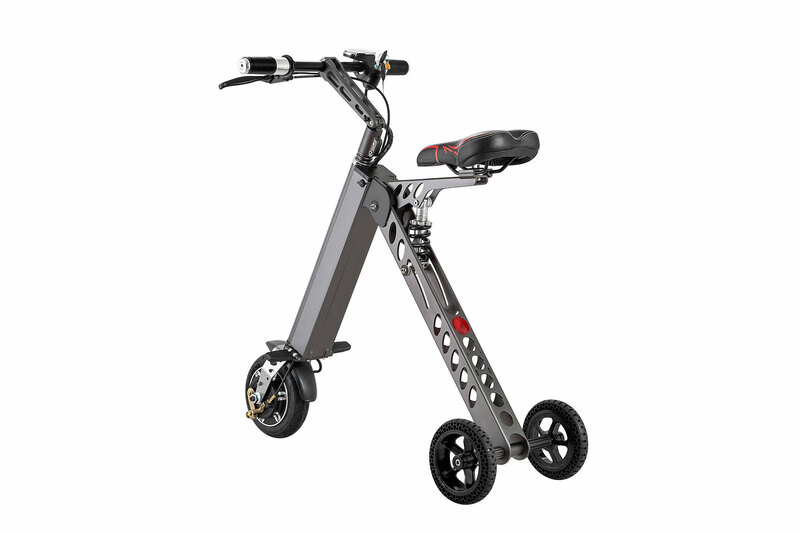 It is compact when folded, lightweight and very suitable for travel. Dash to class with this little powerhouse. Take it with you on your next vacation or simply cruise around for leisure. The TopMate Mini won’t disappoint. 1. 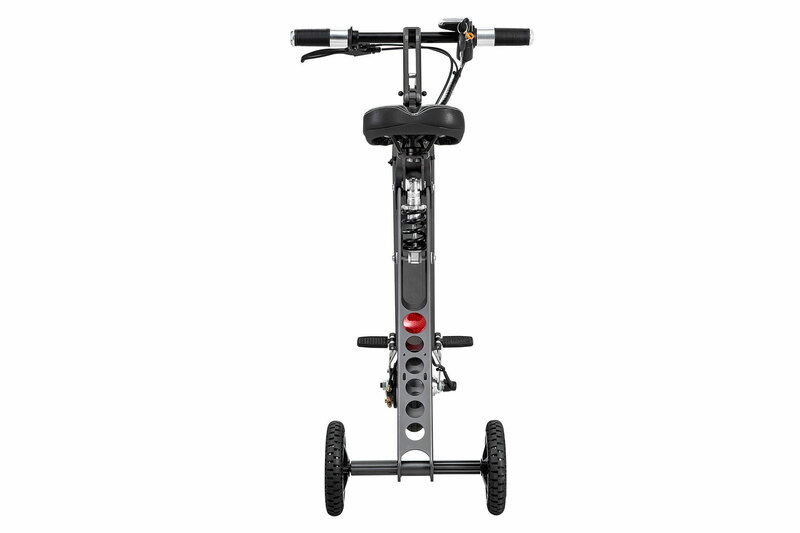 [Upgraded version] Pneumatic Tire:The new generation of wheel profile is 2 inches larger than the old one, with higher mobility and stability,powerful and safe,the elderly and children are also available. 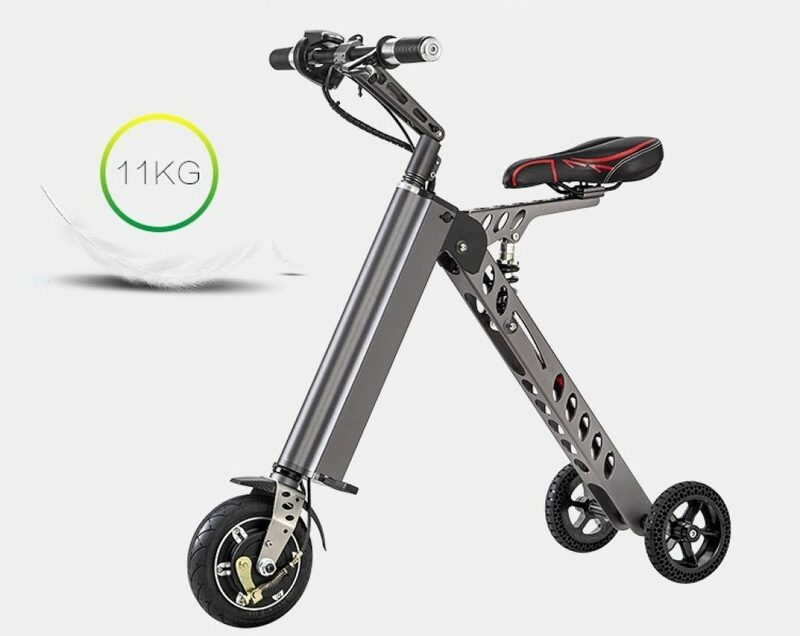 Portable and Lightweight ：Mini electric tricycle,the total weight is only 13.6kg,folding,easy to lift with one hand,can be placed in office,elevator,trunk etc.to prevent theft. 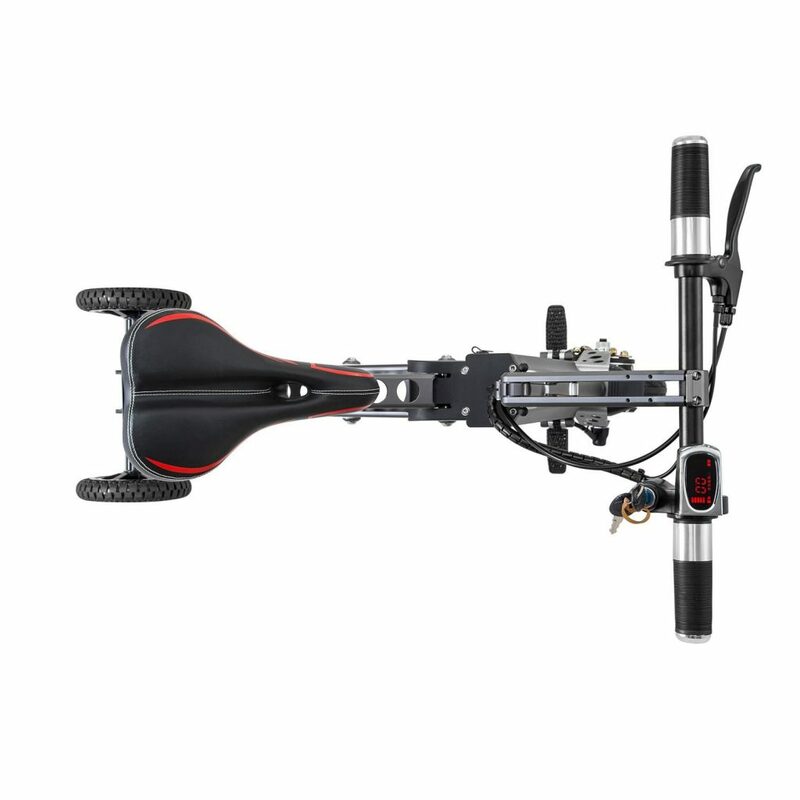 3.Good Load Bearing Capacity:98% of the whole vehicle adopts aviation aluminum alloy, which is firm and light, with high physical properties and corrosion resistance. 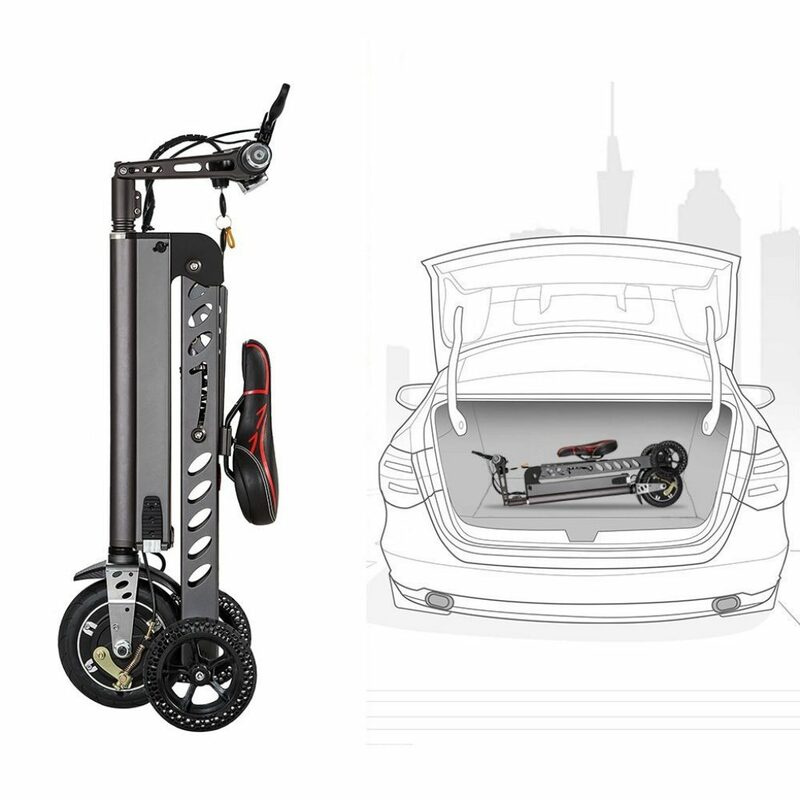 The whole vehicle quality is only 13.6kg, but the carrying capacity reaches 120kg. 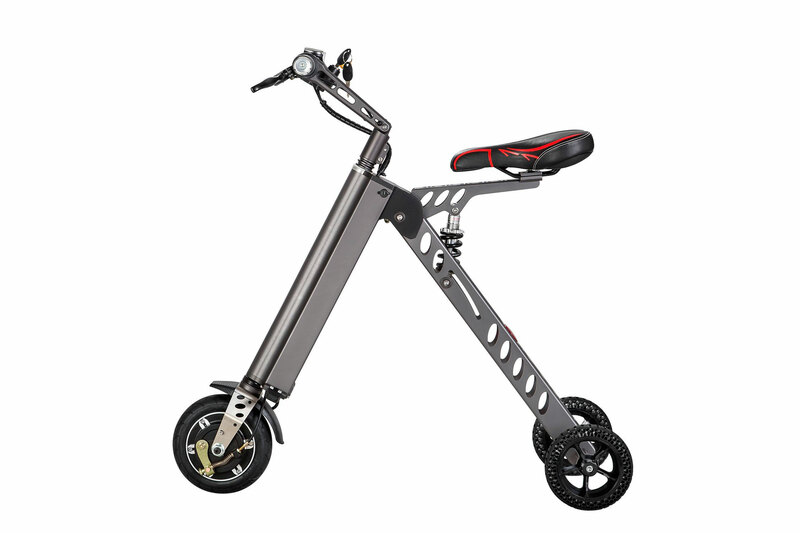 Durable Battery:18650 power lithium battery, only need to charge for three hours, endurance performance can up to 35km.Battery life is seven years,durable,the best choice for short trips. Design:Stylish and beautiful with high-quality paint, lasting as new, not easy to fade. This corrosion-resistant model is 98% aviation aluminum alloy. It is powered by a 18650 power lithium battery that takes only 3 ½ hours to charge. 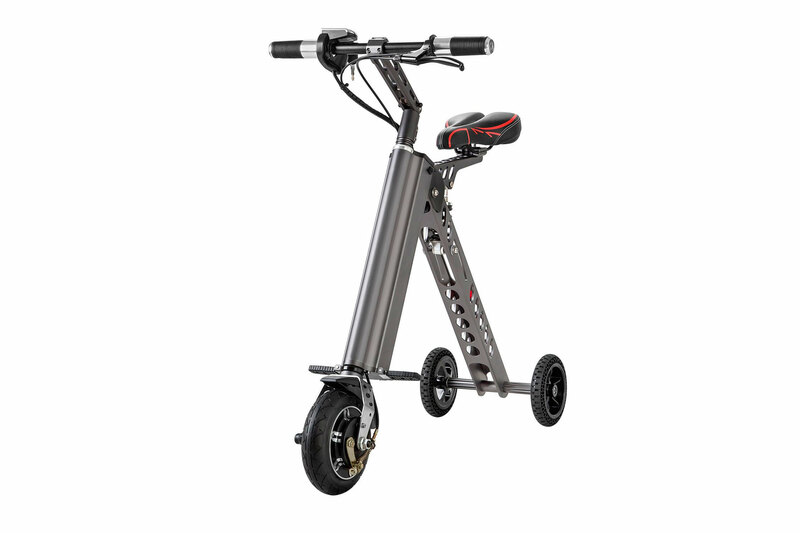 It is lightweight at 24 lbs, but sturdy enough to bear a rider weight of 264 lbs / 120 kg and go distances as far as 15.5 miles on a single charge. It features a patented easy open and easy fold/unfold mechanism. The TopMate Mini is only available in grey for now. Customers love the TopMate mini for its design and compact features. According to reviews, maximum speed is around 12 mph. It is not recommended for inclines but customers say that it has enough torque to go up steep drive ways. The ride is relatively smooth, speed is controlled for safety. Minimum price of the whole network http://amzn.to/2bZCxw6 http://amzn.to/2cDJswL. The TopMate Mini Electric Tricycle is a lightweight ride – perfect for travel and leisure activities.